Home » Moontower Comedy » Schedule » Would You Bang Him? Is a sense of humor really the #1 quality women look for in a man? We put the theory to the test. 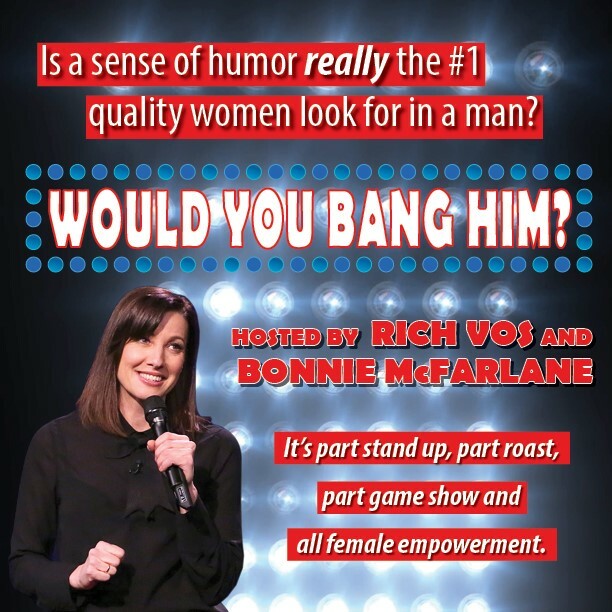 This is a live stand up game show, created and hosted by NYC comedians Bonnie McFarlane and Rich Vos. Here’s how it works: Male comedians each do 5 minutes of standup for a panel of four female comedian judges. After every set, the judges determine if they would in fact ‘bang’ the comedian. It’s part roast, part comedy show and all female empowerment.